The following post is written by Hank Coleman. Earlier last week, American International Group (NYSE Stock Symbol: AIG) announced that they would begin issuing their first dividend since being bailed out by the United States government in 2008. I’m a free market capitalist at heart, and never agreed with the government bailouts during the financial crisis. And, I’m definitely not a fan of sinking my money back into companies that have lost my trust. In September 2008 during the earliest days of the financial crisis, the Federal Reserve provided the troubled insurance giant with an $85 billion bailout in order to try and avert a worldwide financial meltdown. The bailout gave the federal government 79.9% equity stake in the company and control of AIG until the company paid the federal government back which it finally did last year and the government’s shares of the company were sold on the open market. In total, the Federal Reserve and the US Treasury provided AIG with a combined total of $182 billion in order to stabilize the company during the financial crisis. By the end of 2012, the federal government saw a greater than 10% return on its bailout investment of the insurer. Like the age old saying goes, “Fool me once, shame on you. Fool me twice, shame on me.” I have a hard time investing in a company that cut its dividend just a few short years ago. Now, I understand that it was a drastic measure and a last resort during unprecedented drastic times, but it raises a suspicion and dread in me that they could easily cut the dividend again if times get tough. I love investing my hard earned money in dividend aristocrats who have consistently issued a dividend and raised it each year for 25 years. Even now that AIG has declared a quarterly dividend of $0.10 per share and its board of directors has authorized $1 billion in share repurchases, I’m going to pass on investing in the insurance company. What’s to say that they won’t need another bailout years down the line? Who can guarantee that they have learned their lessons? How safe is their dividend truly? The board of directors has shown a proclivity for reducing and even eliminating their dividend when times are tough. AIG is having a good year financially. I can’t knock them for that. The company announced their new dividend as its net profit increased to $2.73 billion in the second quarter of this year. The company’s earnings per share beat analysts’ estimates by $0.26 when the company reported earnings of $1.12 per share recently. AIG’s fundamental metrics paint it into a less than ideal light when it comes to dividend paying stocks. AIG currently has a beta of 1.79 and a Price to Earnings (PE) ratio of over 15. It’s $0.40 annual dividend puts its dividend yield at just 0.80%. There are other names in the Property & Casualty Insurance industry such as Chubb (CB), Allstate (ALL), and Travelers (TVR) who have better metrics than AIG. Dividend paying stocks are supposed to give investors a sense of security and stability in an ever-changing macro financial landscape. Even with AIG’s recent announcement to return as a dividend paying company, they simply do not give an air of security and stability like a true dividend payer because of its past. There are simply better companies on the market with better metrics to invest in. AIG is not a growth story. It is not a capital appreciation play. Simply put, in my opinion, it is not an attractive company to invest in for the long or short-term. How safe do you feel AIG’s new dividend is? 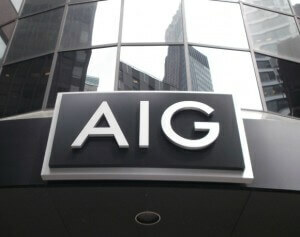 Will you be investing in AIG and do you feel comfortable investing in the company knowing its history? I’d love to hear your thoughts in the comment section. 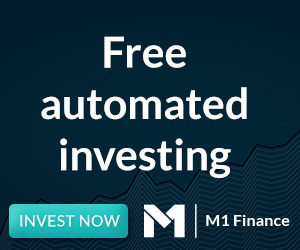 Hank Coleman is a personal finance expert who writes about about finance, retirement, and investing on his blog, Money Q&A. Be sure to also follow him on Twitter @MoneyQandA and check out his podcast, “Your Money: Your Choices”, on iTunes. Just curious as to whether your comment extends to Manulife as they cut their dividnedn in half a couple of years ago and were quickly punished by investors as a result. The main difference between Manulife (MFC) and AIG, is that MFC didn’t take billions of dollars from the government as AIG did to stay afloat. Nor did the Canadian banks for that matter (though there are rumours they did ineed take some TARP money) ask the Federal government for money to remain in business. Point being, many companies cut or froze their dividends over the crisis, HSE and Canadian banks as an example, but are still companies I have trust in and continue to hold in my portfolio. As with Hank, AIG is definitely not a company I have much confidence or trust in, especially as they were the underwriters of the CDO’s (Collateral Debt Obligations) that caused the entire crisis to unravel.